Getting a place of your own is a major step, especially for first-time homebuyers. Still, such important decisions do come with a hefty burden of responsibilities and risks, so you’d better think the whole idea through carefully and plan your purchase well ahead of the contract signing. If the concept of home buying is completely new to you, we have several useful tips on how to minimize the risk of frauds, disappointments and unexpected complications – a new house is probably the biggest investment you’ll make in your lifetime, so you’d better be safe than sorry. The best way to plan your home purchase is to be aware of the funds available for the purpose. Based on the money you can set aside, you will be able to look for houses or apartments within your budget without risking to fall in love with a five-bedroom villa with a stunning view that you’ll probably never be able to afford. Also, when considering your purchase budget, bear in mind that you’ll have to set aside some money for insurance, taxes and similar financial musts, as well as furnishings in case you don’t already own all you need. Once you’ve established your purchase budget, make a list of home priorities in terms of your accommodation needs and preferences such as accommodation standards, neighbourhood, transport, educational and entertainment facilities. This will help narrow down your options when choosing the house and focus on the aspects of your future residence that truly matter to you compared to some other features you would like to have in your home but don’t consider necessary. For people who don’t have piles of cash lying around ready for home purchase settlement, examining mortgage options is highly important. Consult several banks and inquire about available mortgage programs – this can help you get the funding needed to cover the home price if you don’t have all the funds on your account right off. When choosing the mortgage program, bear in mind your long-term financial plans and prospects: while some people would be happy with a fixed-rate mortgage, others would find mortgages with adjustable rates better-suited to their budgets and housing needs in the long run. Also, inquire about different types of mortgage loans, maturity terms and actual figures to get a better picture of the best deals for your individual needs. Thanks to the growing number of first-time homebuyer incentives, young people looking to get a place of their own can address a number of banks and government bodies with an application for down payment assistance options, low down payment possibilities, tax credit benefits and/or reduced interest rate loans. Before applying for a first-time homebuyer benefit program, check the criteria with the relevant institution and see whether you qualify for the incentive – this will minimize your paperwork and application-related hassle, and you’ll know which organization to turn to with your benefit appeal based on your qualifications. Don’t forget that paperwork doesn’t end with signing the home purchase contract. 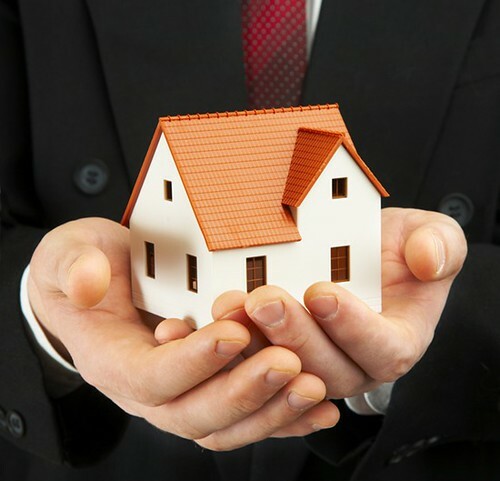 Even if you’ve sorted out the home inspection, loans and real estate matters with reliable agents, advisers and mortgage brokers, the issue of conveyance remains to be tackled after you’ve signed all the necessary papers. For minimum hassle and straightforward conveyance process, consult the experts from Think Conveyancing – a little piece of wisdom from qualified and experienced professionals can save you lots of time, nerves and money, so don’t overlook this aspect of your home purchase. Ready to start a new life in a place of your own? With these simple tips, you will certainly find just the right piece of heaven to fit your bill and budget best.